At Davis Chevrolet, we are 100% customer focused. That is why we have created the Customer Care Department. Try us out to experience customer service like none-other. Our live customer testimonials will tell you a clear story of how you can expect to be treated at Davis Chev. We also know we're not perfect - that's where you come in. We encourage you to leave us a note telling us what we're doing well, or where we can improve. 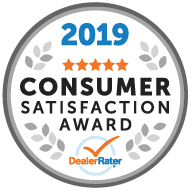 With your help we can continuously improve to be the best car dealership in Alberta. Your Chevrolet GMC Buick dealer serving Calgary, Red Deer and Olds AB is here for you. Give us a call at 1-888-749-6505 or visit our lot for all of your vehicle-related needs. We look forward to showing you the "Davis Difference!" A proud member of the Davis Automotive Group Davis Chevrolet GMC Buick, our Airdrie Alberta dealership, is part of the Davis Automotive Group - a dealer group based out of Lethbridge, AB. Collectively, the Davis Automotive Group currently has 10 dealer locations representing three franchises with over 500 employees. The dealerships are located in the cities of Lethbridge, Medicine Hat, Brooks, Fort Macleod, Claresholm, Barrhead, and Westlock. The Davis Automotive Group has been recognized as a Top 50 Employer in Canada four years running.